I love all things NEW. Growing up a pastor’s kid who experienced change on a regular basis, I have always EMBRACED new adventures. The NEW Year is just that for me – more change, more new, more adventure. We always look to the New Year as a way to start over, fresh with no mistakes in it. But you don’t need a New Year to make a change. Over the past two years, my husband and I have changed our lives in drastic ways. I cleaned out my pantry and replaced everything with natural, organic, non-GMO, preservative free foods. I began riding my bicycle and rode 500 miles in one week across the state of Iowa this summer, racking up over 1200 miles in one year. I embraced my two mantras – “choose joy” & “best day ever” and vowed to live them daily. 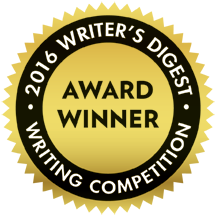 I finished a book, started a blog, and am working on the publishing process. Drastic change breeds a desire for more change. Good habits breed greater habits. Embracing change breeds less fear. The hunger for bettering ourselves and following through breeds more hunger, more follow through, MORE NEW. Realizing our ability to choose breeds FREEDOM. So, following the pattern our lives have taken, here are THREE ways to drastically change your life in 2016. You may have already plunged into some of these, but it’s always good to revisit. How can you tweek these to fit your own lifestyle? How can you EMBRACE the NEW and breed change, better habits, more discipline, less fear, more hunger, more follow through and more NEW this upcoming year? A list of NOW means NO reason to Wait. I wrote a post about this a few weeks ago. We always create New Year’s Resolutions and Bucket Lists. But I’m sick of resolutions and bucket lists. They always seem like they are so far away – as in “before I die” or a list “I hope to finish”. Everyone who has actually made significant changes in their lives has made a DECISION, a CHOICE to change – and they haven’t waited until Monday or until the New Year or until the next best time to “start”. They’ve done it NOW. So, feel free to use the printable at the end of this post to begin your list. The list even provides a space for you to begin writing HOW you will complete this list. And check out the post dedicated to the List of Now to read more about how you can begin working on your dreams immediately. 2015 was the year I turned 40. I decided it would be my Year of the Brave. I made a list of 40 things I would do in the year I turned 40, and I will be working on it until I turn 41 in November of 2016. 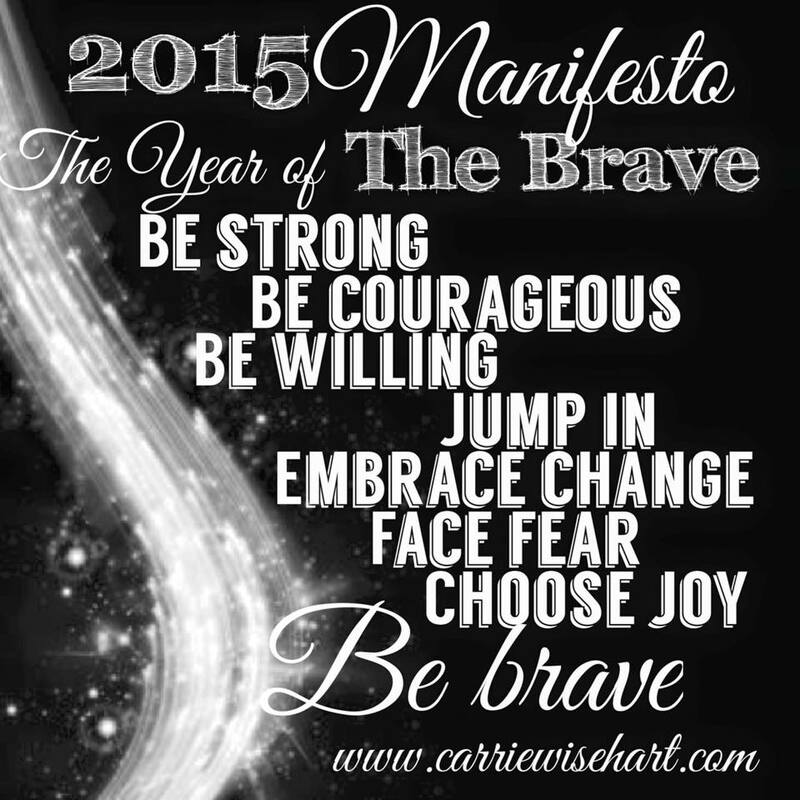 My manifesto challenged me to be strong, courageous, willing. It pushed me to jump in, embrace change, face fear, and choose joy. It was my year of THE BRAVE. I am continuing that challenge as I continue to complete my list and grab hold of life by the reins. This year is my year of THE CRASH. “…my favorite of all is the group designation for rhinos. You see, rhinos can run at thirty miles an hour, which is pretty fast when you consider how much weight they’re pulling…just one problem with this phenomenon. Rhinos can see only thirty feet in front of them. Can you imagine something that large moving in concert as a group, plowing ahead at thirty miles an hour with no idea what’s at thirty-one feet? You would think that they would be far too timid to pick up full steam, that their inability to see far enough ahead would paralyze them to immobility. But with that horn pointing the way, rhinos run forward full steam ahead without apprehension, which leads us to their name. 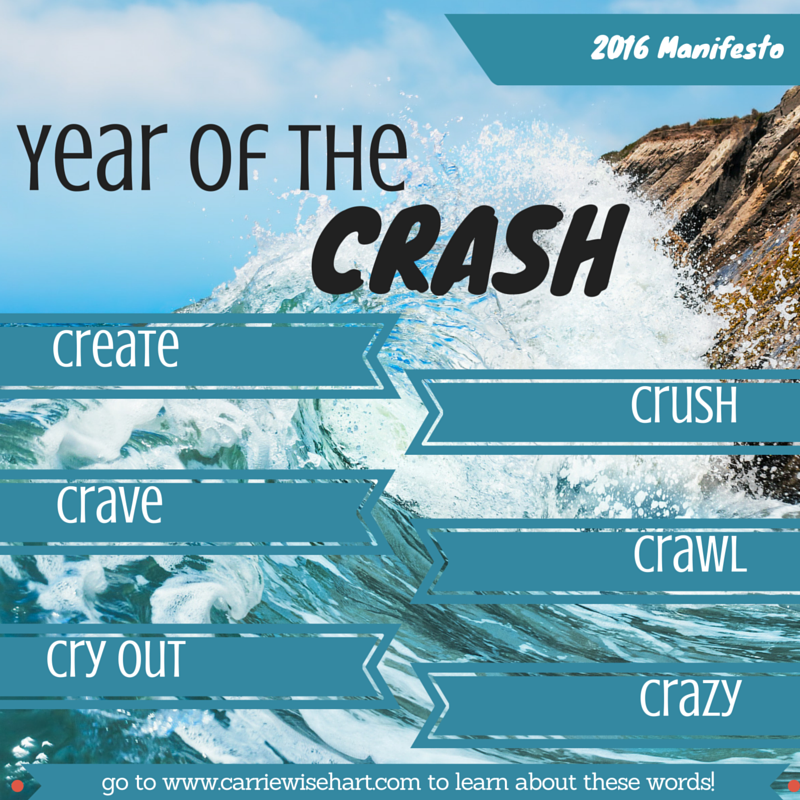 So, what is my manifesto for the Year of THE CRASH? Crush. I want to CRUSH my exercise and step up to the plate becoming stronger and healthier. I’m going to CRASH into the CRUSH! I have goals to complete and it’s time to CRUSH them. I’m also going to CRUSH worry. I am going to run like the rhinos – without fear of what’s 31 feet ahead of me. Crave. I will CRAVE more time with family, friends, and Jesus. I will CRASH into those relationships by being REAL, RAW, and TRANSPARENT. No secrets, just real. I will especially pour into my pre-teen middle school daughter. She needs me more than ever (read my Open Letter to her, or our Mom and Me Mystery Mondays). Crawl. I want to CRASH into rest and relaxation, intentionally focusing on filling up so I can be the best version of myself. This year I deleted the word b**y from my vocabulary (read the post). In our society we brag about how much we have on our plates – and that seems really backward. I’m going to CRAWL into my writing chair with a book, finishing at LEAST one a month that will help me become a more UNSTOPPABLE force through growth, health, and education (watch for a book list COMING SOON!). Cry out. I am going to CRY OUT for the less fortunate, be a kindness activist (read about the Dollar Difference campaign and join! ), and find new ways to make a difference socially and spiritually in and out of my classroom. I am going to be an advocate by CRYING OUT for those who cannot cry out for themselves and making a difference in the lives of the people I love, the people I meet, and the strangers on the street. Crazy. I just had to add this one. Because I fully intend upon doing crazy, best day adventure type things all year. Because that’s the only way to live life. Check out my list of 40 to see what else I plan to do. This is the biggest problem with lists and resolutions. We never finish. So how can you best guarantee that you will finish the list? You need accountability. REAL accountability. Post your list and your word on social media. In fact, place a LINK to your list/word in the comments below. I would love to see what YOU are going to do this year. Find a friend or family member, actually invite them out to coffee, and ask them to hold you accountable for completing your list and living your word. Make an intentional choice to ASK them – officially – to be your partner in crime, an advocate for finishing your list, for following through on your word. It’s time – NOW – to change your life by COMPLETING what you start. CRASH into this year with all the crazy of a big herd of rhinos plowing ahead at 30 miles an hour. What will your word be? Leave it in the comments. Please!!! Fill out your List of Now Printable and post a picture on social media. Let’s CRASH together, friends. Let’s live NOW without worrying about what happens at 31 feet. Hi guys! Thanks for reading my post! Please JOIN ME by letting me know what your #oneword is in the comments! I would love to hear about them! Please become my e-mail friend and receive inspirational blog posts to your inbox every couple weeks. Wanna read the post I wrote that went VIRAL? It has had over 330,000 hits! Posted in Choose, Inspiration, Lifestyle, List of Now, Year of the Brave and tagged 2016, bucket list, crash, happy new year, now, one word, resolution. Bookmark the permalink.